Owl Finch Personality, Food & Care – Pet Birds by Lafeber Co.
As their name suggests, owl finches look like little owls with their distinctive markings. These are curious and social little birds. The owl finch a grass finch, also known as the Bicheno finch or the double-barred finch, is a lively addition to a community aviary and a good bird for the novice who may not have a lot of experience with birds. In terms of coloration, the owl finch can’t compete with another popular Australian citizen, the Gouldian, or even the common zebra finch, but its distinctive markings and social disposition give it a character all its own. It stands between 3 and 4 inches in length, and has two distinct black bars above and below a whitish-beige chest, one bar circling the underpart of the “chin,” and the other rounding the bird’s underside. The wings are brown with white speckles, and the “face mask” is white. The beak is gray and the eye is black. There is one subspecies, the black-rumped owl finch, which has, obviously, a black rump. Because of crosses with the nominate owl finch (which has a white rump), the rumps on some birds may be blotchy — not quite black, not quite white. The visual difference between the sexes is so slight, even owl finch experts have a difficult time telling the males from the females. The males are said to have thicker bands and a whiter chest, though this is not always consistent. Males do have a soft, sweet song and females do not, so separating birds and listening for the song is one way of determining gender. The owl finch is native habitat is Australia, particularly the woodlands, grasslands, and scrublands, though they can also be found in city parks as well. They travel in groups numbering four to 40, and are active flyers. The owl finch needs generous housing, and does best in a larger space. An aviary is great, one that’s full of branches and safe foliage. They will get along with most other Australian and Old World finches, as well as canaries, but they don’t like to be crowded. Because they are closely related to the zebra finch, these two species may successfully interbreed, resulting in “mules,” birds which can’t reproduce. This is highly discouraged among the bird community. In an aviary or large cage, it’s essential to keep at least three pairs of owl finches if there is to be more than one pair. Four owl finches may fight and compete with one another, whereas six birds will be more peaceable. This is true for many commonly kept bird species, especially if they are true pairs. Owl finches will set up a nest in just about anything. They prefer a covered woven nest to a nest box. The males love to build nests and seek out new nesting sites. 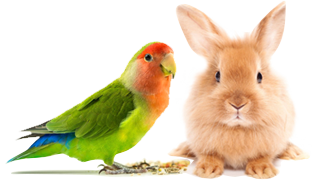 Nesting material is essential — short, clean string or long, soft grasses are best. Coconut fiber is okay if it’s cut into smaller pieces. Remember that a finch can become tangled in long nesting material, or can catch a toe in a woven basket nest and not be able to get out. These birds bond for life. The female will usually lay between three and six eggs, though more is not uncommon. The babies hatch out at about two weeks and look like zebra finch babies, a duller version of their parents. They molt into their adult feathers by about four months of age. The chicks will generally leave the nest when they are three weeks old, but stay with the parents until they are thirty to 35 days old. If the parents have gone back to nest and have eggs, they may become aggressive with the babies, so it’s best to move them to another cage at that time. Owl finches can breed at 6 months of age, but it’s best to wait at least nine months to a year to breed them. This gives the owner a chance to get them into prime breeding condition, which is done though a varied and healthy diet and enough light and exercise. Owl finches are generally good parents, but some can be a little too carefree with their sitting habits, or can toss the occasional baby out of the nest. It’s convenient to have other similarly sized finches nesting at the same time, such as zebra and society finches, who will generally willingly foster the eggs or babies. Owls that are good parents will also foster other species as well. Owl finches that are housed indoors will appreciate as large of a cage as possible, at least 2 by 3 feet, longer and wider rather than taller. These birds are small, but they’re active. Females can become egg-bound if they don’t get enough exercise. Because they can succumb easily to cold temperatures, this finch must be kept in temperatures no lower than 60 degrees Fahrenheit, though they prefer to be warmer. They do not like drafts, and can’t handle prolonged periods of direct sunlight unless they have a cooler shady spot where they can retreat. The owl finch should be fed a good-quality seed and pellet-based diet, such as Lafeber’s Premium Daily Diet specifically designed for finches, along with egg food, a mineral grit, and charcoal. They will also appreciate nestling food, as well as packaged easy-to-make soft foods for birds. A cuttlebone should also be available as a source of calcium. Owl finches relish grubs or small mealworms, and can have two to four per bird per day. Nesting owl finches and those feeding babies should have live food available as a protein source. These birds hunt insects in the wild, so it’s a natural food for them. If these are not available, another protein source can be used, such as well-cooked hard boiled egg crumbled into a separate cup. Owl finches are active little bids and curious, too. They will come check anything new added to their aviary or flight cage. Owl finches do not sing as much as zebra finches. Male owl finches emit a soft repetitive as a soft repetitive song which they raise their neck and start attempting around 3 months of age. Hens are not mute they do make a “meep” sound. They do not sing as often as say Zebras or Societies but can be noticed if you observe them on a regular basis. Finches can be prone to air-sac mite infection, especially when overly stressed. This is a serious medical condition that warrants immediately veterinary care. Finches can also be susceptible to scaly face (a condition caused by a mite that presents as white, scaly areas around the beak/eyes, as well as the legs), which also warrants a call to the vet. Finches can also have overgrown nails or beaks, which should be addressed by an experienced bird groomer or vet. Owl finches are not as widely available as zebra finches, society finches and Gouldian finches, but they can be found for sale from a bird breeder who specializes in finches, as well as some pet stores.